Hello there! It’s John here (Mr. Start a Mom Blog), excited to bring you a post on a very tricky subject – the business side of blogging! More and more we are getting questions from readers about taxes, business entities, licenses, and all sorts of scary questions. These are things that can stop people in their tracks from even beginning their blogs, because no one wants to do the wrong thing, right? Part 1: When should you start treating your blog as a business? What is the “best” business structure for bloggers? Do you need any other licenses for your blog? When do you need to start paying quarterly taxes, and how do you do that? What can you deduct as a business expense as a blogger? **Disclaimer** – The information in this post contains general information, and should not be treated as individualized tax advice for you. I am not a CPA, and we are learning all this right along with you. I encourage you to do your own research in addition with this post, and to reach out to a professional CPA if you have any further questions. As we learn more about the business side of blogging we will be sure to update this post for you, as things are always changing in the world of taxes! Part 1: When Should you Treat your Blog as a Business? There are two ways to answer this question. 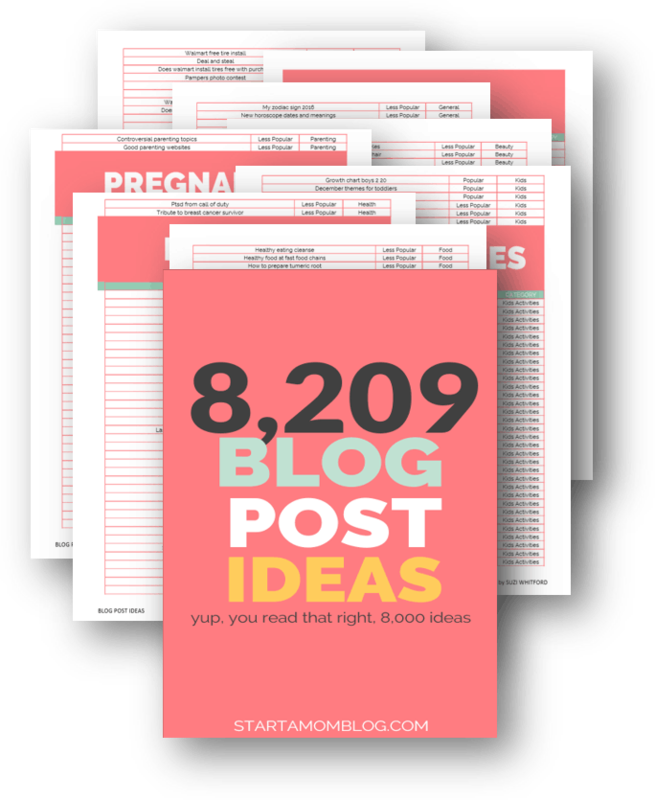 One is that you should consider your blog a business from day one. This is in how you think about it, and how you consistently make progress on it day in and day out. The more serious you take your blog from the beginning, the sooner you will build momentum and success with it. But that is simply how I advise you to think and act on your blog. That doesn’t mean you need to form an LLC on day one. I would advise forming your chosen business entity when your blog is making $500 per month consistently. In the beginning, you have so much going on – learning WordPress, social media, finding your voice. You don’t need to add one more thing – especially something as intimidating as taxes and government forms on top of it! 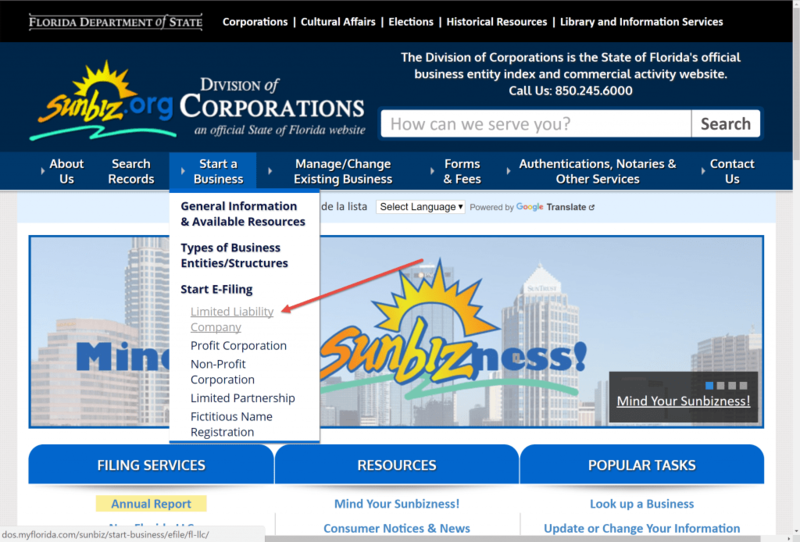 Ok, so that’s the “when” of forming a business entity, but we really need to cover the “why” as well! Why Should you Turn your Blog into a Business? There’s paperwork, fees, and some unfamiliar language involved in creating a business structure. None of that is fun! So there needs to be a pretty compelling reason to want to subject yourself to all that punishment, right? Luckily, there are 3 very important reasons to form a business entity for your blog. This is reason #1 because I believe it is the most important. Before you go through the process of forming a business entity for your blog, all of your assets are intermingled. That means there is no difference between your home, car, bank accounts, from your blog and its earnings and dealings. And while things are certainly simpler this way, it opens you up to what I consider a nightmare scenario in the online business world. What happens if one day, you open your email and find out that your blog is being sued for copywrite infringement? You would be forced to come up with the full amount, using any business OR personal assets you have. Including your home! Like I said, this is a nightmare scenario, but with so many moving pieces in the online world, it’s always a possibility that someone changes the rules on us overnight and we might not catch wind of it until it’s too late. Better safe than sorry! So how is this different if you have formed a separate business entity for your blog? You would be treated like the graphic on the right, where the blue “Blog LLC” assets would be kept completely separate from your personal “Family Assets” in the orange. So if your business gets sued, you would not be expected to pay for the debt using any of your own personal assets. Completely separate, which is a good thing! In the news you always hear about huge corporations bending the tax code to their will, and paying less taxes than the normal middle class American. You get access to the power solo 401(k) or SEP-IRA savings vehicles. These allow you to stash significant savings away using pre-tax dollars, shielding up to $54,000 from being taxed. If some of this went over your head, don’t worry. It’ll all come in time, and these are not things you should be concerned about when first starting out. The key takeaway here is that while forming an LLC or S Corp costs a bit of money up front, it can save you thousands of dollars a year in tax benefits. And even if that doesn’t matter much, there are other things that are only available to businesses and not individuals, like special business credit cards. So as you can see, there are some significant reasons to form a business. I’ve got you convinced, but you’re still not any closer to knowing what type of business is right for you! Let’s cover that next. 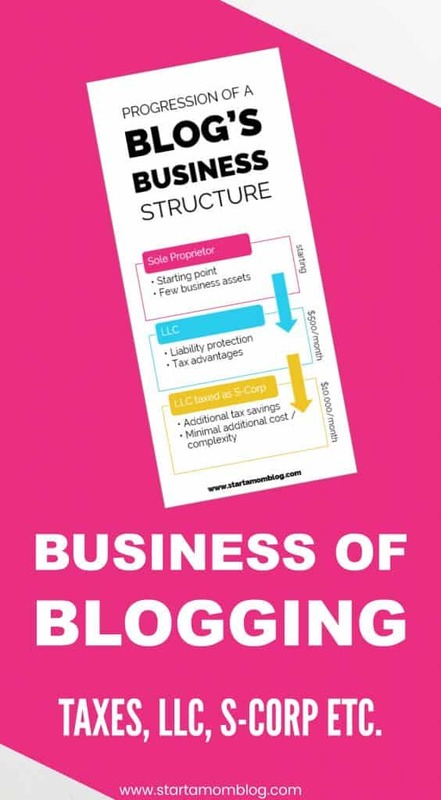 What is the Best Business Structure for Bloggers? 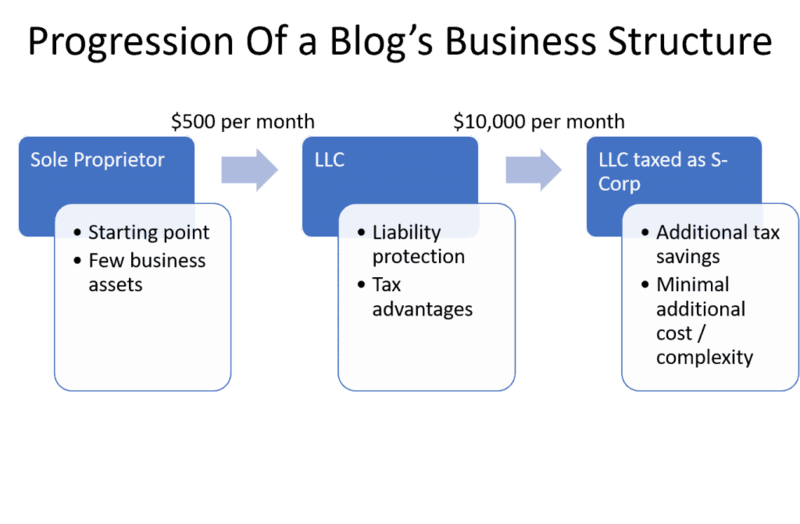 Best is very subjective, but I’ll cover the 3 structures that we considered, and explain why we chose an LLC. This option is what everyone is when they first start out. You don’t need to file any paperwork to be identified as a sole proprietor. This is essentially the business structure that every kid who wants to mow grass in the summer has formed, without even knowing it. The lack of liability protection is the deal breaker here. As your business grows, it will become increasingly important to keep clear lines between your business and your family, so I do not recommend staying as a sole proprietor once you have begun to show a track record of income with your blog. This is the option we have selected for our online businesses. It strikes a good balance between simplicity and power. Complete pass-through entity. This means that all profits your blog makes are taxed at your marginal tax bracket. Let me explain pass-through real quick. 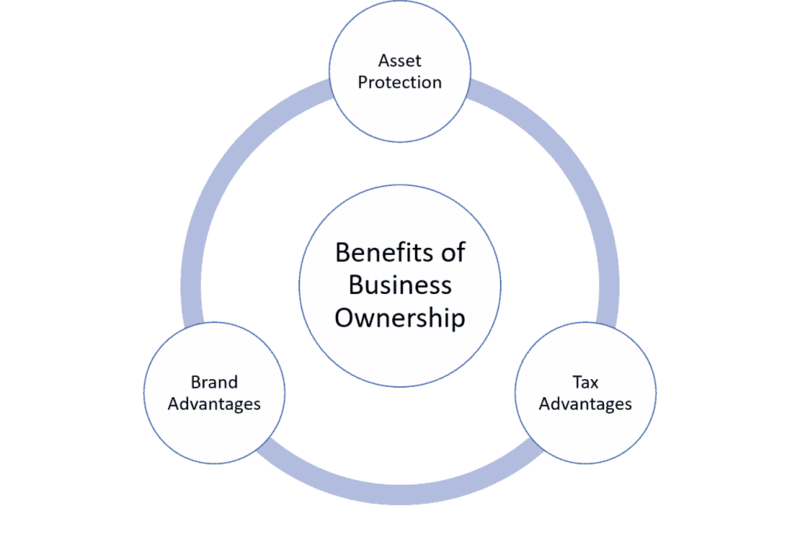 Sole proprietors and LLCs are similar in that all income created by the business passes through from the business entity to the business owner(you!). This makes sense, because Uncle Sam wants his taxes. But the S Corp is treated a little differently. In the S Corp structure, you are able to declare a “reasonable” salary/wage for each employee of the company. Any profits the blog makes above and beyond the salaries of the employees gets more favorable tax treatment, and is considered as a “dividend” of the company’s earnings. That was abstract, so let’s use a quick example using easy math. S Corp – Emily elects to take a salary of $60,000. That means that the remaining $40,000 earned by the blog is a “dividend,” which avoids that additional FICA taxes. Only Emily’s salary of $60,000 gets hit with the additional FICA tax. I hope that didn’t get too geeky, but again the key takeaway is that there are subtle differences in how the structures operate that can become important when you start getting into tax optimization strategies. Ok, so we jumped a little ahead and already talked about S Corps, but I felt it necessary to explain the way wages work in businesses, because it can be a driving factor. When you first set up your blog, I do not think the increased complexity of the S Corp makes sense. This is because the tax savings only start to be of significant value when your blog is making a significant full time income. Until then I think simplicity is key! I know you want to get past this section as much as I do, but there’s one secret option that I just have to bring up, because it is next on the list for Start a Mom Blog! Wait, whaat? Yes, it is a rare thing, but some times you can have your cake and eat it too! And this is one of those rare times. Enjoy it! When you get to a high enough level of earning (let’s say $10k per month), you can elect for this option to keep the simplicity of the LLC, but supercharge your tax savings with the S Corp. It only takes a couple of extra forms come tax time, and it’s honestly out of scope for this article. Consult your CPA if this option is appealing to you. Already making $500 per month, and I’ve got you convinced to start your LLC? Great! It’s very easy, but there are a few steps to the process. Every state has their own filing process to form businesses. Prices can vary state to state as well. I believe Florida’s was between $100-$200 to create our business. Google “How to start LLC in _____ state?” And you should quickly come to the .org for your specific state. You’ll fill out some quick forms and pay the fee, and once you are approved, you should be given a Document Number, which you will need for step 2. This is a federal number you get from the IRS, so you don’t need to go googling for your specific state’s site. 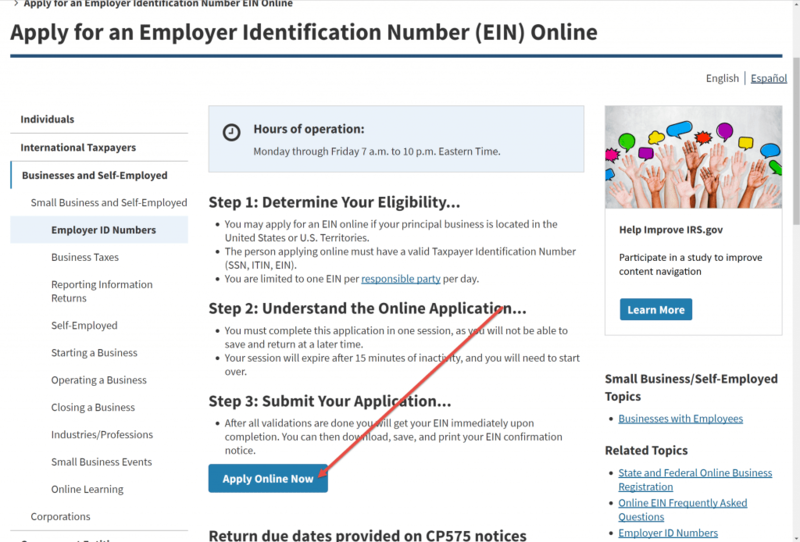 You can go to the IRS website here and fill out the quick application to receive your business’s EIN. You’ll need this number for filing taxes, setting up payments to your company, and getting other business assets like business checking accounts. Remember how I said you can protect your assets if you separate business from personal? Well, now is that important step. You’ll need to open up a business account which is opened in the name of your LLC, not in your personal name. I researched it when we went through this ourselves, and I decided on the Spark Business Checking Account from Capital One. They had zero fees, good customer service, and an easy online portal. You can also set up business credit cards or any other tool you might need, using your new EIN. Congratulations, you’re now a business owner! 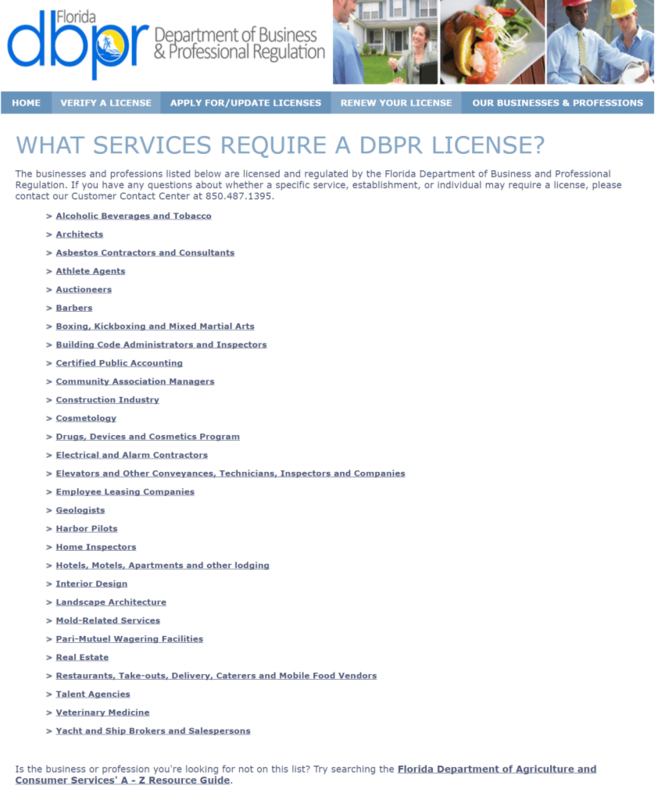 Do you need a Business License for your Blog? This is another tricky question that gets sent our way. This is again governed at the state level, so I cannot tell you a hard “yes” or “no.” You will need to do your own research or ask your CPA to be sure. But what if you blog about Cosmetology or Interior Design? Does that require a business license? I can’t tell you for sure, so be sure to do your double checking. But I have never heard of a blogger getting in trouble without a license. Phew, if you’ve made it this far, pat yourself on the back! We’ve covered a lot of ground with business entities, but this guide is not complete unless you know what you are supposed to DO when it comes tax time. What are Quarterly Estimated Tax Payments and how do you pay them? What Expenses can you Deduct as a Business Blogger? What if you Have Affiliates or Contractors? How to File your Annual Taxes as a Business Blogger? There are two approaches to this. Option 1 is to simply collect all your receipts from everything blog related, and hand them to your tax guy when he asks for them. Many entrepreneurs do this, and it makes sense for them. Not everyone wants to learn the ins and outs of the tax code, and they don’t want to trigger an audit that they cannot defend. Then there is option 2, the DIY method. Luckily, today’s tools make this method very easy as well. We use Quickbooks to manage our blog’s accounting on the fly. It allows you to simply swipe all your transaction as business or as personal, and it keeps a running tally of everything for you. It even calculates how much tax you should be expecting to pay when it is time. The entire process of tracking and categorizing our transactions only takes a few minutes per week for us, and it is a useful exercise to monitor what we are spending on, and to make sure everything is working as it should. What are Quarterly Estimated Taxes, and How do you Pay Them? If you were once in corporate America, you are used to having taxes withheld from every paycheck. Well, it’s not so simple with entrepreneurship. You get the full revenue for each transaction, but Uncle Sam wants his chunk as well! If you expect to make a profit of at least $1,000 during that tax year, you are required to pay estimated quarterly taxes. If you do not pay by the deadline, you can incur interest charges and penalties – so I definitely recommend you get your payments out on time! Luckily, Quickbooks Self-Employed has us covered here as well. As you happily swipe your transactions throughout the year, it is doing all the heavy lifting in the background to forecast your total expected tax liability. They are even helpful enough to show you the deadlines! You can send your payments by check, or pay online at the IRS website. Quickbooks even integrates to it directly so you can pay directly from the quickbooks site, which I found helpful. What can you Deduct as a Business Blogger? Here’s where things get fun, but can also be tricky. Owning a business opens up the ability to deduct your expenses, and ultimately reduce your tax liability. Eyeing a new camera? It’s a business expense for your blog! New iPhone? Great for stock photos and FaceTime with clients! Tickets to FinCon? Networking expense! But you have to be careful. Here is a list of items you should be able to deduct, and a few notes. Office space in your home. Turbotax walks you through this process – you can select the size of your blog office in your home, and they can determine the amount allowable to deduct. Furniture when used for the blog. Whether it be computer desks or a nice sofa that you film your videos and interviews on, if it’s part of the business, it’s an expense. A Portion of your internet bill. Be smart here – I do not deduct the ENTIRE internet bill, because my Netflix habit is NOT part of the blog. So pick what % of your usage is estimated as blog time, and deduct that portion. You can create a rule in Quickbooks to automatically split a transaction as 33% business / 66% personal for example. Affiliate Fees, PayPal transaction fees. Travel to blogging conferences / networking events. If you want to take the whole family to a blogging conference, I would only deduct the flight for the blogger, and not for the family guests. All the more reason to get your family involved in your blog! Depending on the niche you blog about, you could open up entire new avenues of deductions. Travel blogger? You can deduct mileage for blog-related travel. Food blogger? Meals out can be deducted if you blog about them. Use your creativity, and I’m sure you’ll find some very smart ways of optimizing your tax bill! Do you have an affiliate program? Use any contract labor, like a VA, Facebook Ads guy, or someone to edit your posts and videos? If you have paid a contractor more than $600 in the year, you are required to file a 1099-MISC form to that individual so they can claim their earnings on their taxes. In order to do this, they are required to submit a W9 form . If you do not submit these forms, the IRS may issue fines for each W9 that SHOULD have been issued. This one can get complicated, especially in the first year, so this would be a topic to discuss with a CPA. Here’s where the online business world is so great: If you pay your contractors using PayPal, you do NOT need to issue them a 1099-MISC. PayPal will issue the required documentation for you. They do this in the form of a 1099-K, and it is completely unnecessary to send duplicate documentation to your contractors. Once again a reminder that we are not CPAs and are learning every day alongside you. Please continue to do your own research and consult a professional CPA if you are unsure of how to handle a specific tax situation. If you kept up with your accounting throughout the year with Quickbooks, there should be no reason to sweat your annual tax filing. If you use TurboTax, all your data from Quickbooks can be imported, and will take 90% of the work off of you. 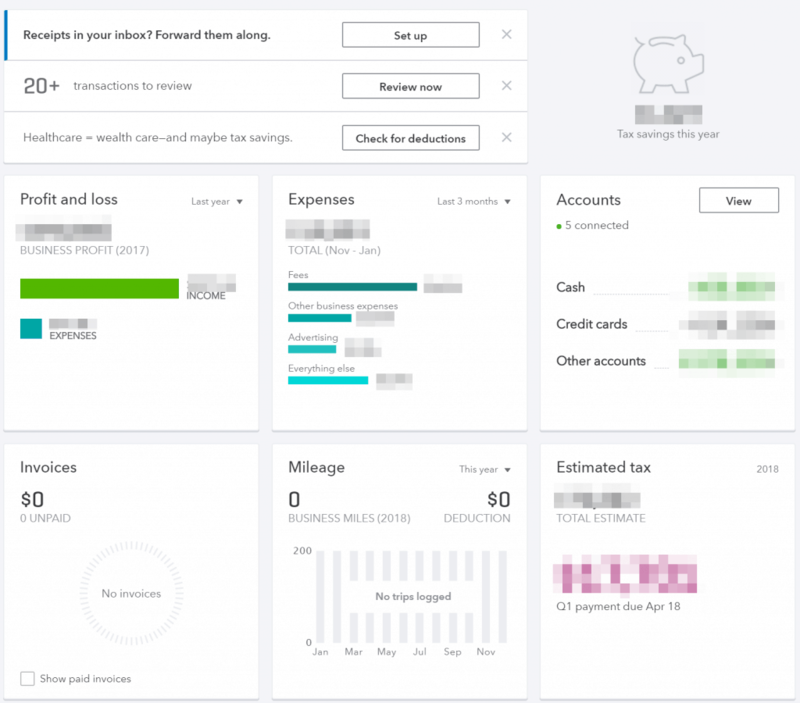 You’ll want to pick the self-employed option in TurboTax, and just follow along. I have never had trouble getting my taxes done with the tool, and they have great support if you have questions along the way. And as I mentioned before, the cost of a CPA can definitely be worth it if you have a complicated tax situation, or just the idea of taxes makes your skin crawl. It is NOT admitting defeat, it’s giving yourself the grace to focus on your special talents, and letting the professionals handle the stuff that you don’t want to. Wow, we have covered a lot of ground together. Thanks so much for reaching the end! Become a savvy business owner in general! 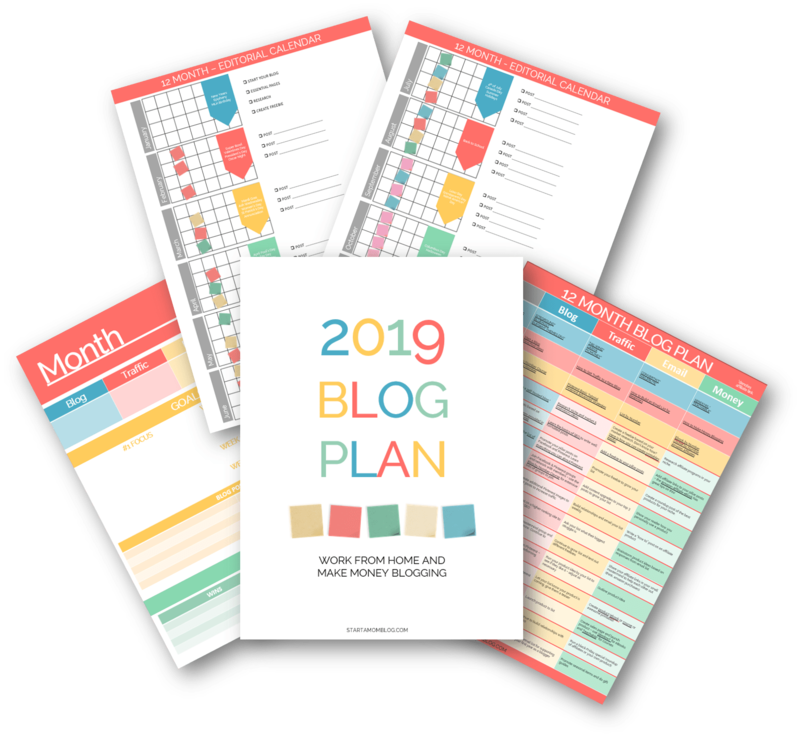 I’m curious, what business structure have you / will you set up for your blog? LLC, S Corp, or something different? I’d love to hear why! Leave a comment below! So glad it’s helpful! No reason to be anxious 🙂 As you grow, you learn. As you learn, you can handle the increased complexity of the business side. So glad you launched today!!! Aww, thank you so much Sarah! I’ll let John know that he’s just amazing!! So happy to make your day!! This is fantastic info and has cleared up a lot of misconceptions for me. I know it is something I will be referring back to many times. Thank you so very much, Suz and John, for taking the time to put all of this info together for us. So glad this was helpful! There is a lot of misinformation out there. We will be sure check in on this article as we learn more and continue to add to it and keep it relevant! Thanks for the comment! My question is, I’ve spent money to blog but i haven’t made any income from it yet. How do I claim my blog expenses legitimately? Normally I’d have my accountant handle my taxes but this year I’m trying to cut costs and attempt this myself? Thanks for helping all of us!! I really am so appreciative for all that you both do for your audience. Great question! I will answer this one live for sure! There is a good silver lining for businesses who haven’t made profit on year one, so be sure to tune in! Hi John and Suzi! Thank you so much for this article! I am going to try to make the live chat. My questions is what to do if we have several small blogs we are starting. Is there a way to create one business and use it for all of my blogs? Short answer is Yes! But I’ll go into more depth live 🙂 talk soon! Wow! That is an amazing comment – thank you so much Roshni! I always do my research before I put out a blog post, but there’s always the fear in the back of your mind if you aren’t explaining it clearly or simply enough. So happy to hear it passes your inspection! I hope it can help many moms get over the fear of starting their own business! Thank you and your husband for this post. Although I am in the middle stage of setting up my blog, I was thinking down the line about my blog as a business and what are the tax implications. My concerns that I have been researching include how to calculate the space in your home for tax filing, supplies, internet use, printer use etc. I anticipate becoming successful, and as a business I want to keep my personal funds from business income. This post is wonderful and explains many things I need to know. Thank you and your husband again for all your help. Excellent post and brings clarity to some of the most often misunderstood concerns people have about running their business. I especially liked the selection of graphics used to illustrate points and the length of the article, while covering the bases, was easily to read through in short time. QQ: Are you using all on-line versions of Quickbooks and TurboTax? Wondering since I have filed my own taxes using TurboTax (forever – cause like you, John, I am a nerd about these things). I’ve not used QB. I use spreadsheets for my consulting service business and rental real estate held by me personally. With its connections to online banking and credit card accounts, looking to shift off Excel to QB since it seems like it can streamline the handling of transactions and digital product sales (in works to launch soon). Yes, we are using the online version of Quickbooks and TurboTax. Specifically, we use the Quickbooks Self Employed package, which is where the screenshots from the article comes from. And I get the audit defense package in Turbo Tax, just in case I fat finger something, it gives me a little insurance. 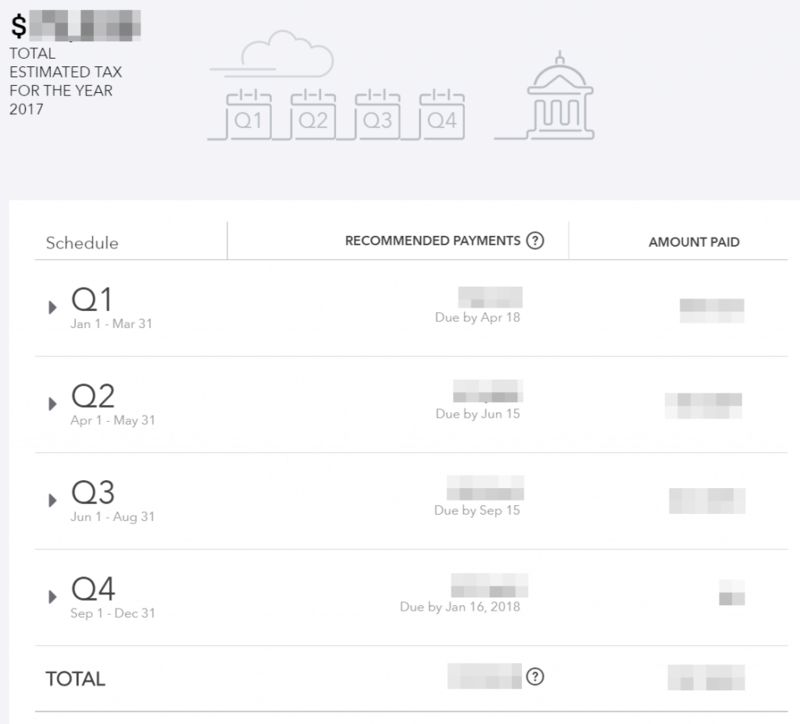 And for 2016 Tax year, I got the year of Quickbooks free with the level of turbotax that I purchased. Not sure if that deal is still available. I graduated with an Accounting degree a few years ago but when ya don’t use it ya lose it, eek! I was just thinking that you may want to notify beginner bloggers to that they can file their blog as a “hobby” (its just one line on your tax return that you enter a dollar amount). You can choose this method when you are at a break even point when your income just covers your expenses. For someone who is just testing the waters in blogging, this may be a good starting point. The Con of this option is you do not get to write off your losses (or carry them forward). Thanks for the awesome detailed refresher! Really hit on some great key points! Even though I’m in the UK and our system is slightly different this was still a really helpful post. As a newbie not earning anything yet it’s a relief to know I can just be a sole proprietor for the moment. Can you provide any information though on insurance – do you have some form of indemnity insurance? Is it necessary/recommended, especially if blogging about health and wellbeing? Thanks for all your really helpful content. Thank you for this post! I’m wondering one more thing: do you carry liability insurance? Thank you Angela! I’ll talk about liability insurance in depth on the live this Thursday 2/8/2018 🙂 Seems to be a lot of interest to go more in depth on that topic! Is there an easy way to access this LIVE? I’m looking for info about liability insurance. Woohoo!!! I knew more about this than I thought!! Thanks for the validation and reminding me I CAN DO THIS! It looks like I can apply all of this to the art biz also so double hugs for this awesome post!! You two are absolutely adorable!! Aw thanks Sandy! And you’re spot on! This guide was written with blogging in mind, but in most cases, business is business and the same rules apply! Some industries have special rules and regulations, but the big picture is still the same! Hope to chat with you when I go live! This was really helpful, Suzi, thank you. I had a basic understanding of how this side of blogging works but you really helped to fill in the gaps. I’ve been digesting this and a lot of your easy-to-understand content for growing. Thank you! Hi Suzi! This was so helpful! Do you think you could write an article about what categories you use in QuickBooks? I’m never sure if what I’m using is okay, and I haven’t been able to find a good example of how bloggers can set up their QB accounts. I love QuickBooks, though – it makes things so much easier. Looking forward to the fb live! (Although I may have to watch the replay.) I have a couple of questions about timing. In the article you mention applying for an ein once you set up your business as an LLC. Would you recommend waiting until this point or is it a good idea to get the ein even as a sole proprietor, to protect your ssn? And also with bank accounts — would you wait to set up a business account once you’re an LLC or should we have a separate account for our business assets right from the start? Thank you again both so much for taking the time to dive into these topics! This post has been extremely helpful! I filed my taxes last night as a Sole Proprietor still but maybe by next year I’ll be an LLC! Definitely saving this post for later. Even though it seems like more complicated work, I’m kind of excited to have my own business bank accounts! I guess if it gets to that level it means we’re doing something right. 🙂 Thanks for all the in-depth information! Thanks for sharing this article. I believe that this generation has a lot of advantage to people, like internet. I think that we are so blessed with it because we can start a business with it like blogging. I think for mothers and other who just want to stay at home,it is really good. Thank you for this! I just moved to FL and am looking into starting a blog to monetize and sell my digital knitting patterns. This is super helpful. Do you know if they require sales tax on digital items in FL? I know with my VA business I am required to have a Business Tax Certificate….are you familiar with that for blogging? This was a wonderful article to at the very least give an outline of the main things that you need. I appreciate the ability to find the information all in one place and it’s not missing state or federal information. Although you suggest waiting until income is $500 per month, what about being sued for copyright infringement before you reach that income? Wouldn’t you want to set up the LLC right from the start to protect your assets? Thanks! Hey I really appreciate the in-depth knowledge you shared here. I’ve been concerned about reporting everything the right way for the little blog income I earn now. One thing I am curious on is how/when you pay your FICA taxes? I didn’t see any specifics on that. Thank you so much for this information. I’m new to blogging and have been at a loss as to the right approach for taxes, business entity, etc. I like to do everything by the book and didn’t have much up to date information about the legal aspects of blogging. Wow. This was so incredibly helpful. Thank you so much for, once again, providing such helpful content. I’ll be honest, this side of blogging gives me the hives! A quick follow up question. How does this affect your personal tax returns? Cheers! This blog has been so helpful to all the female representative who wants to start their own career and identity on their own terms and talent. Wow. You have no idea how much stress you’ve taken from me with this post! I feel like I have a much better understanding of my options now. Thank you! Wow, this was the most helpful and comprehensive guide we’ve found to date. Thanks for breaking it all down in language that even us “non-number people” can understand 🙂 bookmarking this one for sure! Omgosh! I just read your name after leaving my comment and thought to myself… wait a minute… I recognize that name… and then I remembered TFA Houston then Miami!! I cant believe it! This post has been tremendously helpful and informative! I’m so new to all of this and I’m genuinely impressed with how at ease this article made me feel… I now understand what to do, what to choose, and how to keep track of my expenses. I’m currently trying to learn how to maximize my blog and this has been the most helpful article I’ve read on this topic. Many thanks! thankyou so much for sharing such useful information. this article has helped me a lot. hope to read many such articles in future. keep writing and spreading knowledge and awareness. Nice post and keep sharing like this fruitful post. This was such a great article. The best I’ve seen about this info. Thank you so much for all your hard work! This article has been so helpful to all the people who wants to start their own business. Because i also belongs to a business attorney so, surely i can say that this is the best articles.